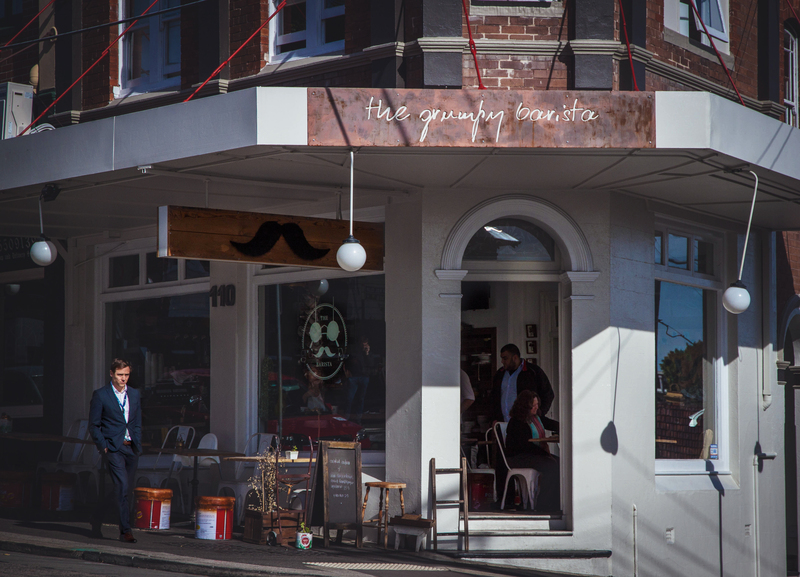 Alex: Nestled pleasantly on the corner of Audley street in the burgeoning cafe scene in Petersham. 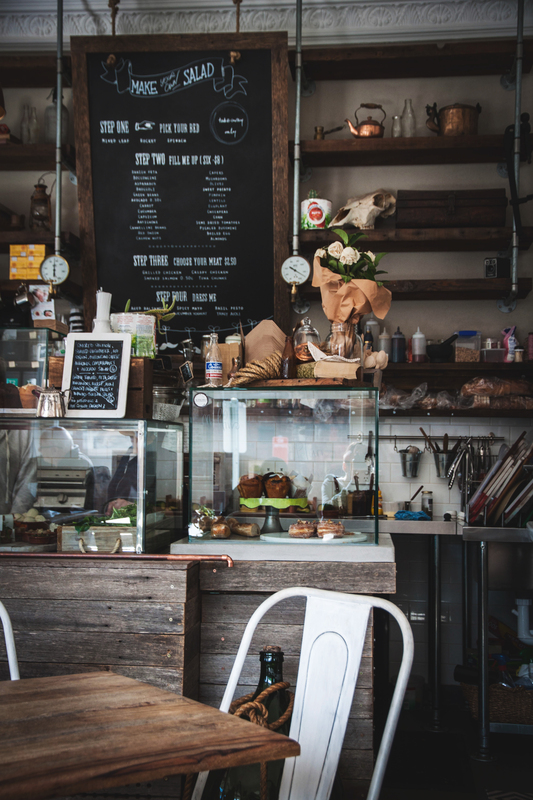 The Grumpy Barista (No Grumpiness to be seen) is a quaint little cafe that exudes rustic characteristics effortlessly. 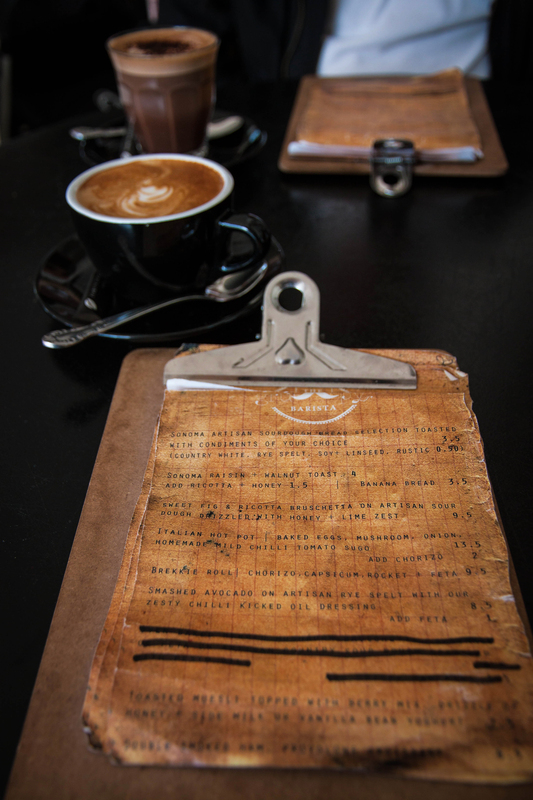 While the cafe has recently been getting a lot of (well deserved) hype, the wait staff, and owner’s Carlo and Sarah were all extremely down to earth and eager to help out the numerous coffee cravers. As I was flicking through the menu and my partner in crime Michael attempted to talk to me, I admittedly paid no attention to anything he was saying because I saw two killer looking cronuts that had my name on it! Unfortunately, because we came a little after the morning craze we missed out on the new addition to the family, The Oreo Crumble with injected Nutella, so we were left with the Honey and Walnut Cronut BUT, it was as if my prayers had been answered, they were able to scrape off the excess honey and walnut and recreate my beloved Nutella delight. Granted, I could taste some of the leftover honey but I didn’t care. 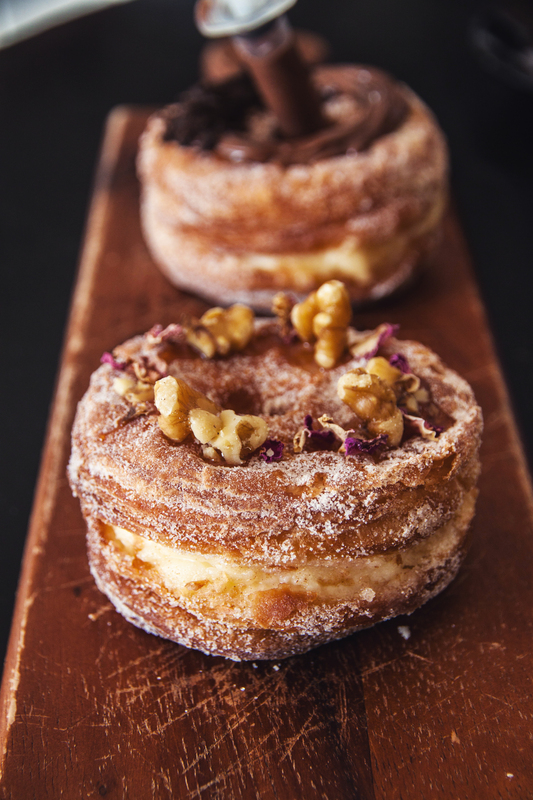 The Honey and Walnut Cronut was delightfully sweet and with the added walnuts, helped to balance the sweetness and created a beautiful crunch with the oozing custard. 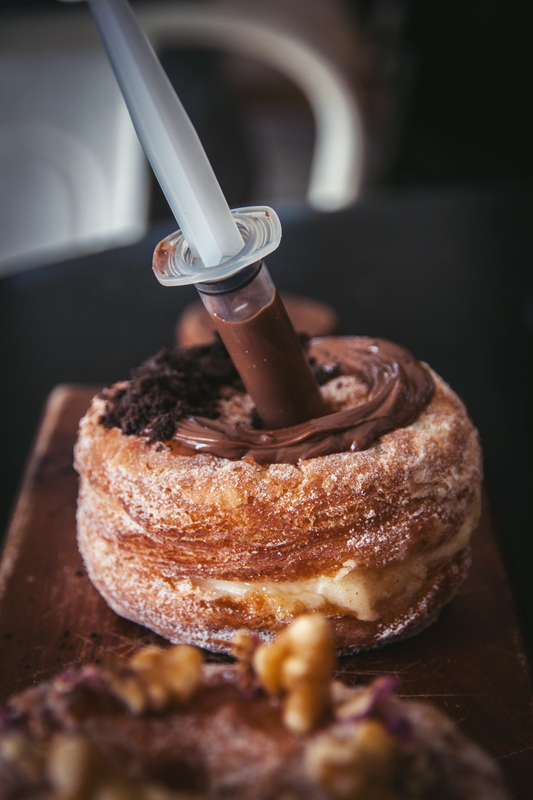 Before I begin to talk about the finger licking goodness that was the Oreo Crumble with injected Nutella Cronut, anything that has nutella or peanut butter is literally a selling point for me. If you keep shoving it in my face, I’m not going to say no, in fact you might as well bring me the tub and leave. As I had mentioned, owner and cook of the Grumpy Barista was able to make me the Nutella cronut so thank you again, you truly made my day, I would’ve left disappointed otherwise. 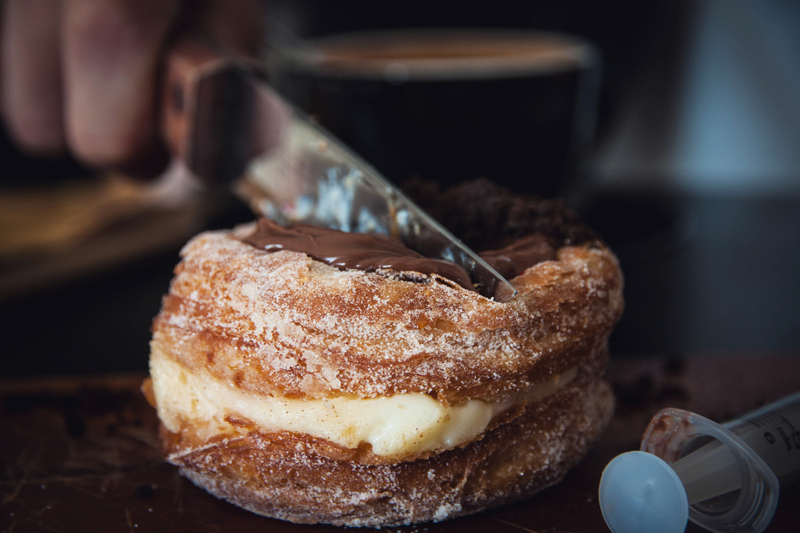 While I did find that the cronut was very rich, the Nutella merged harmoniously with the custard and created what I like to call Cronut Heaven. 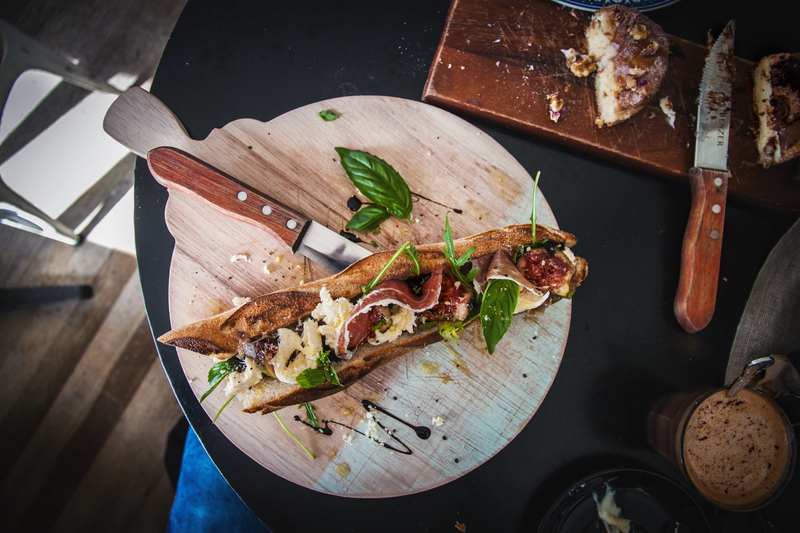 Depending on how hungry you are, you might want to share this with someone! but now enjoy a bunch of oozing cronut photos. 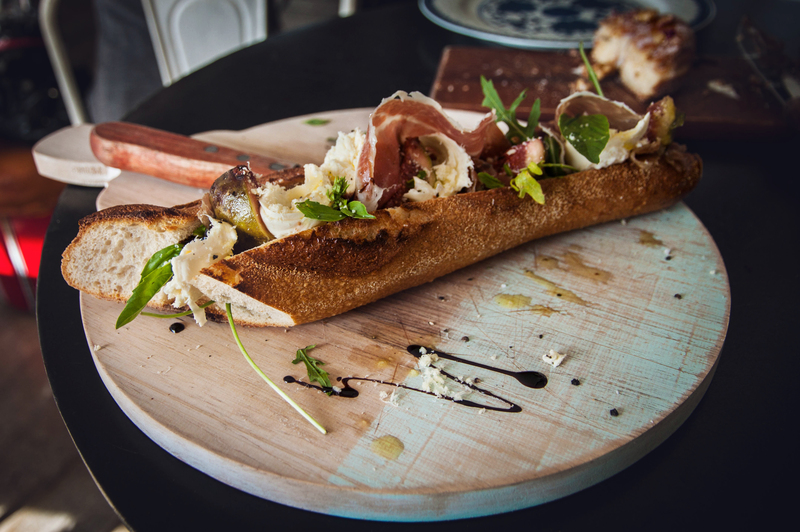 Although the cronuts were probably more than enough, I just couldn’t justify leaving without trying a proper meal, and let’s just say, there’s a reason why I trust my gut instincts…We ordered the Sourdough Baguette with Persian Fig, Prosciutto and buffalo cheese with a balsamic vinaigrette. What a beautifully presented and flavourful dish! I saw how particular the chef was as she was putting this dish together and it was inspiring to see how much care she took in the presentation. The flavours all mixed perfectly in unison and was probably one of the freshest and creative tasting baguettes I’ve ever had. If I really had to nitpick and search for faults, the only issue was that the bread was quite tough, but hardly anything to complain about. 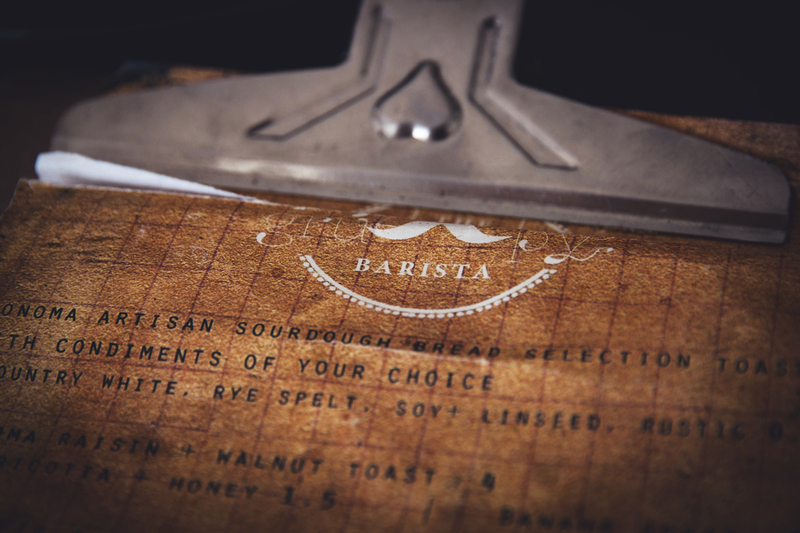 The Grumpy Barista has definitely earned it’s reputation as one of Sydney’s newest hotspots with great coffee, beautiful deserts and innovative ideas. It’s worth a trip alone just for those cronuts! oh my!! 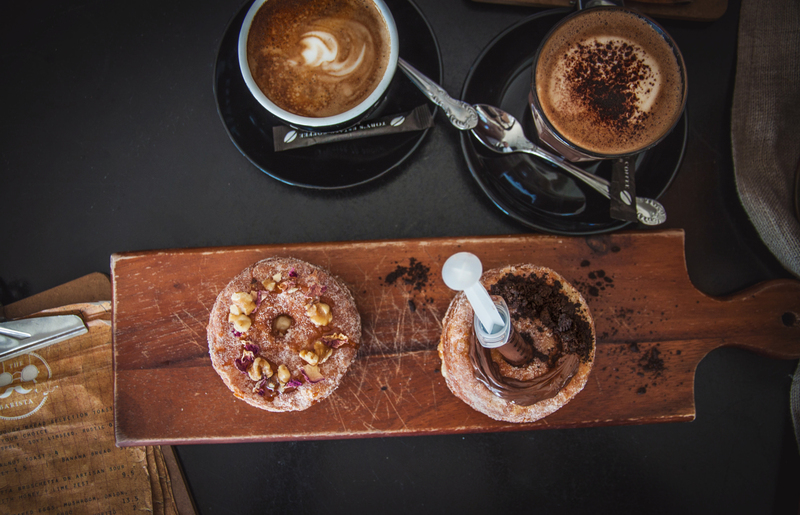 totally scheduling a day to come in and have their cronuts! And I’m making note that I need to be there EARLY! love grumpy barista! 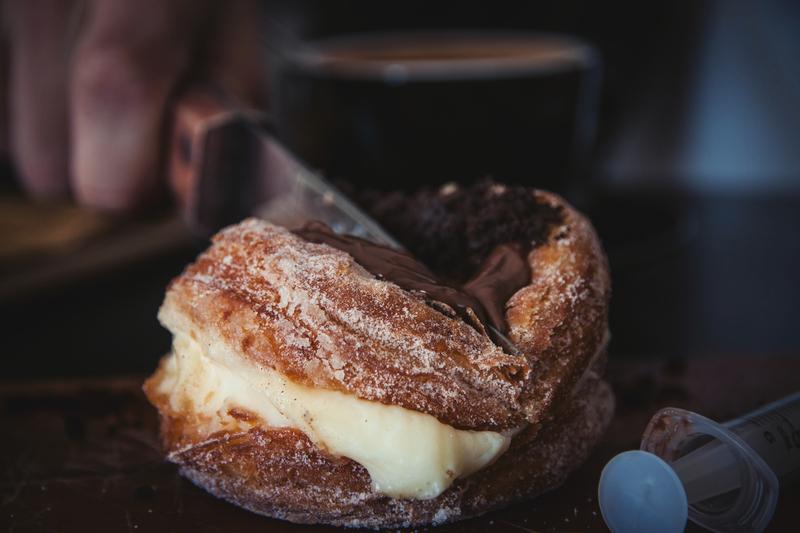 great pics, the nutella cronut is calling to me too! 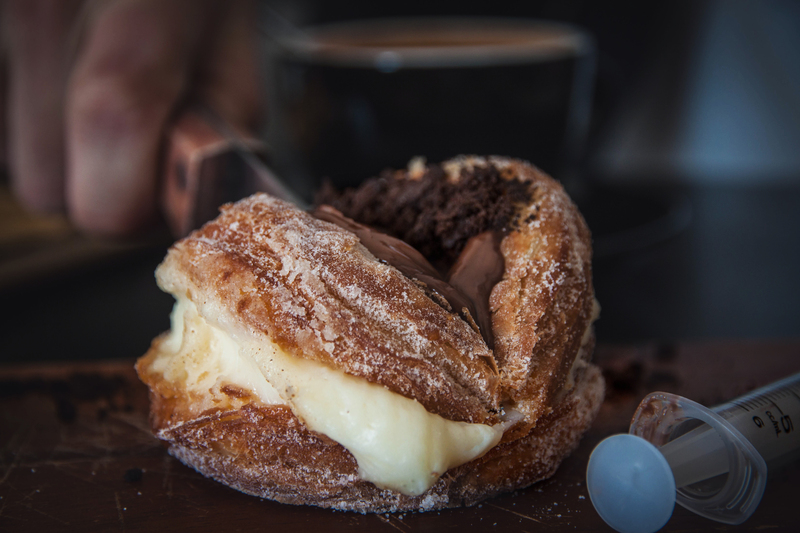 Man, cronuts just took a step up in awesome. Could it get any better than this? I can’t say no – because I’ll just be proven wrong. ive heard amazing things about their cronuts!